The medical benefits of marijuana are no longer a secret, and new uses are being discovered on a regular basis. If you’re like most cannabis dispensary owners, you get a lot of pleasure knowing that you are helping to make your patient’s lives better. Of course, as a business owner, you are faced with the same kinds of marketing challenges that every business faces. Finding new ways to attract patients, build your subscriber list and increase conversions is crucial to remain competitive. Luckily, you can take your cannabis dispensary to the next level and beyond with SMS Marketing. SMS Marketing refers to “short message service marketing” and it is based on using text messages to share information with patients and prospective patients. It is a permission-based concept that allows you unique access to the very people you want to hear your messages, precisely when you need access. When it comes to your cannabis dispensary, SMS Marketing can become an invaluable tool to take things to the next level. Text messages have much higher open rates (up to 98%) when compared to other types of messages, such as emails (20%). 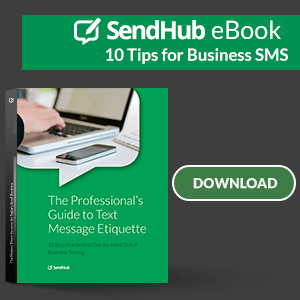 Also, 90% of text messages that are sent end up being read within 3 minutes, which makes SMS Marketing the most efficient form of marketing in the modern digital world. And since 97% of smartphone users in the US text at least one time per day, you can be virtually guaranteed your audience will be accessible. With cannabis dispensaries opening up at an increased rate in states such as California, Nevada, Washington and Colorado, it’s important that you stay a step ahead of the competition when it comes to your marketing. And most importantly, sound SMS Marketing strategy and implementation will allow you to have unprecedented access to the very people that you want to hear your messages, becoming a welcomed part of their daily lives. 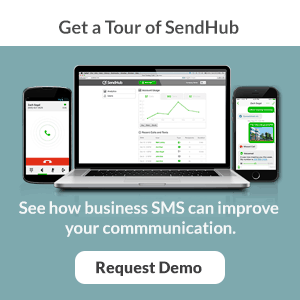 At SendHub, we specialize in creating high-quality SMS marketing campaigns for cannabis dispensaries, so if you’d like to be part of this exciting new trend and boost your sales, give us a call today.